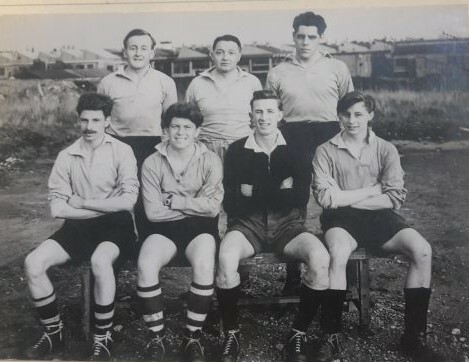 This photograph was sent to Gloucestershire Archives by the son of Alan Bentall (1923-2003) who is in the photograph – centre of the back row. The photograph will be added to the archive collection held at the Gloucestershire Heritage Hub, but in the meantime – can anybody identify any of the other people? This photograph is of the Dowty Rotol Rugby 7’s team, taken in the early 1950s according to Alan’s son. I assume that it was taken either at Arle Court or at what is now the sports and social club, but I’m happy to be corrected.